It’s never too late for a beautiful smile! We will work with you towards that goal, giving you optimum results that is not only first rate but also affordable. 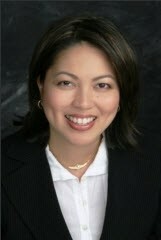 Dr. Caparas received her dental degree in 1993. She has been a dentist for years and has been through several post graduate courses in different fields of dentistry since receiving her DDS degree. In 2002, she completed a Pediatric Dentistry Preceptorship Program at University of California Los Angeles. She was chosen as one of the California dentists who received training from the Los Angeles Pediatric Oral Health Access Program given by the California Dental Association Foundation. In 2005, she completed the University of Southern California’s Advanced Esthetic Dentistry Continuum (cosmetic dentistry). Dr. Caparas has also completed a comprehensive orthodontic 2 year training program with the internationally-renowned Progressive Orthodontic Seminars. She is a certified Invisalign provider. Her emphasis on patient comfort as well as keeping up-to-date with the latest advancements in dentistry enable her to provide her patients with the best quality of care in the field. Dr. Caparas has a wide range of experience in different areas of dentistry, from family (children as young as 2 years old) and general dentistry, cosmetic and restorative dentistry, periodontal and surgical and root canal treatments. She also offers orthodontic treatment to her patients (traditional braces and invisalign). "I would describe our practice as low volume and high personal care. We truly treat our patient's needs and don't try to upsell them with unnecessary treatments and products. My patients have come to appreciate my conservative treatment philosophy and trust me when I advise them they need treatment." Dr. Marcelo has been a part of our practice since 2004 and has been providing exceptional dental care to our patients. She obtained her dental degree from Creighton University in 1986.